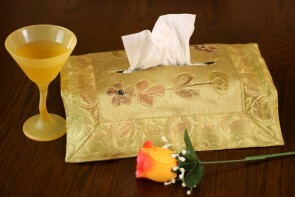 Transform your box of tissues from ordinary to extraordinary with unique tissue box covers from Banarsi Designs. Our rectangular, stretch fit floral hand painted and hand embroidered tissue box covers are the perfect accessory to complement your home décor and complete the look you desire. 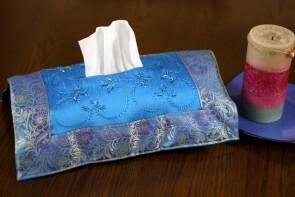 With a variety of bold colors, our tissue box covers are ideal for decorating your bathrooms, living rooms, and they also make great gift ideas.